Kids between the ages of 6 and 12 and their families will love taking part in an “Adventure in Ventriloquism”! 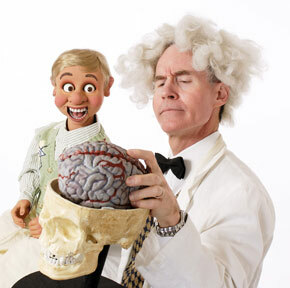 When you hire Puppets & Things on Strings for family and kids’ party entertainment in Denver, CO, you’ll take a time machine into the past and travel to Dr. Frankenstein’s castle as Ventriloquist Mark Hellerstein and friends recreate the famous experiment. Not only are the kids able to participate in the program, but special sound effects and surprises are provided to add to the excitement. Even more laughs are added thanks to beloved characters like Winston, the Bookworm, and Pansy, the baby chimpanzee. If you’re lucky enough, you may even be chosen as the one audience member invited on stage to become a “live” puppet! During family and kids’ entertainment in Denver, CO provided by Puppets & Things on Strings, Winston, the Bookworm, will take kids on an “Adventure in Reading” that allows them to explore the world of learning possibilities reading provides and shows them why reading is so important. They’ll also learn about “classics” and learn how to use their imagination. A highlight is when Winston tells them a hilarious “fractured” version of a story he has just read. Kids will also be amazed when a drawing of a classic book comes to life before their very eyes! Puppets & Things on Strings has joined forces with the Denver Children’s Advocacy Center (DCAC) to provide an educational program covering car safety, crossing the street, dangerous things, strangers and improper touching. The topics are serious, but Mark’s puppets make it fun and entertaining. Professor Penwell, Torrance N. Tabor and Winston, the Bookworm, teach basic principles for living a life of good character and making your own brand special. The program is geared to 9 years and older. Mark has the unique ability to present a very serious topic in a fun and entertaining manner. History and learning are a lot of fun for those in grades 4 through 9. 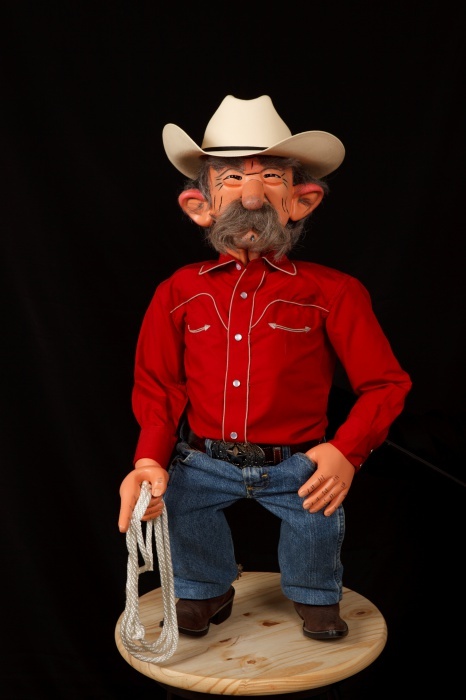 As part of the family and kids’ entertainment in Denver, CO presented by Puppets & Things on Strings, kids can follow along with the adventures of Torrance N. Tabor, a mining prospector from the early days of Colorado, and Buckaroo Buddy, a wagon trail master. These characters bring kids on a historical journey that’s fun, funny, and educational. They’ll also learn about classic books and enjoy a re-creation of the famous Frankenstein operation. 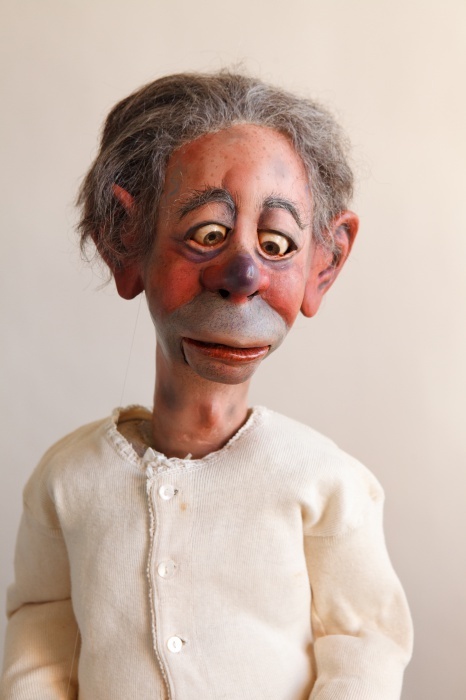 Workshops provide a wonderful opportunity for kids to explore the art of puppetry and ventriloquism. In many ways, puppetry incorporates most of the performing arts, including theater, acting, music, staging, and scripting. Workshops held by Puppets & Things on Strings are tailored to each individual client’s needs, with everything from a one-hour tutorial to six 1.5-hour sessions that include lessons on voice, puppet manipulation/synchronization, puppet making, storytelling and scripting, staging, and, of course, ventriloquism. The workshops also feature lots of learning tools, such as video clips, live demonstrations, hands-on playing with puppets, student performances, puppet making, PowerPoint presentations, and more. Puppets & Things on Strings has provided family and kids’ entertainment at events hosted by many elementary schools and scout meetings throughout Denver, CO. 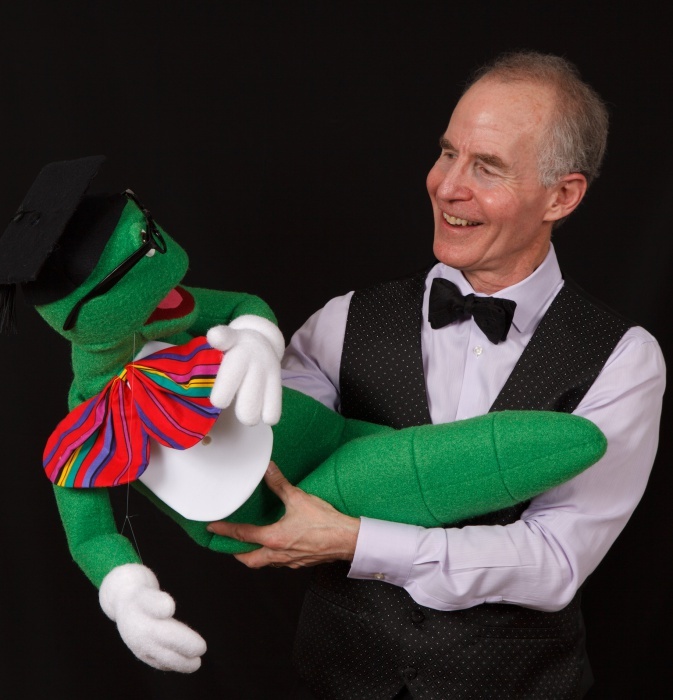 Some of the schools that have called on Mark for puppet shows include: Parr, Lincoln Academy, St. Mary’s Academy, Teller, Wyco, Steck, Eldorado, Larkspur, Lumberg, North Mor, Palmer, Hay, Federal Heights, Fletcher Miller, Clayton, Twain, Coronado Hills, Cottonwood, Greenwood, Dartmouth, Monaco, F.M. Day, Cory, Alice Terry, South, Fulton, High Plains, Graland McElwain, Polton, Stedman, Bradley, Green Valley Ranch, Fairview, Sam Gary, Ashley, Bromwell, Goddard, Pitt-Waller, and more! For more information about hiring Puppets & Things on Strings for family and kids’ entertainment in Denver, CO, contact Mark at 303-378-5392 today.